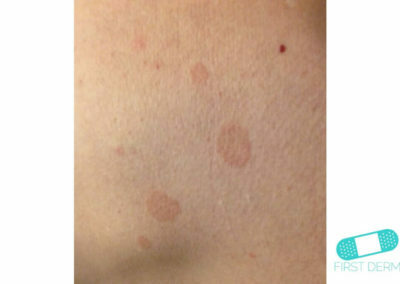 Pityriasis versicolor is a superficial fungal infection caused by the skin yeast, Malassezia furfur. 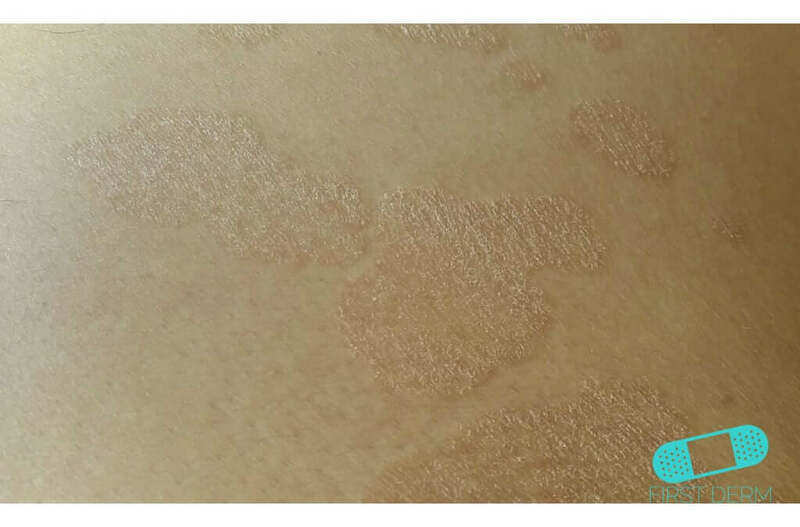 The fungus is found on the skin surface of most adults and thrives in warm and moist environment, especially on oily skin. 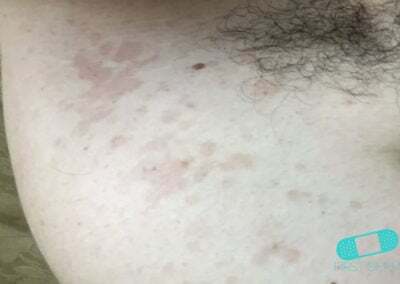 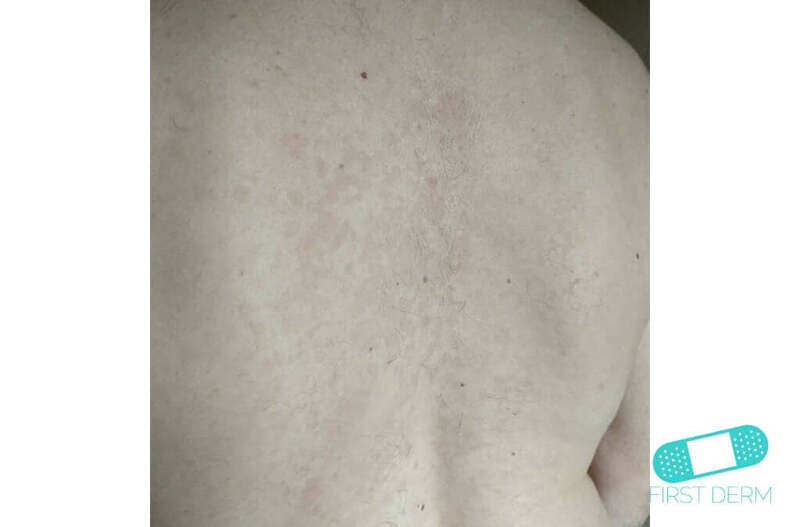 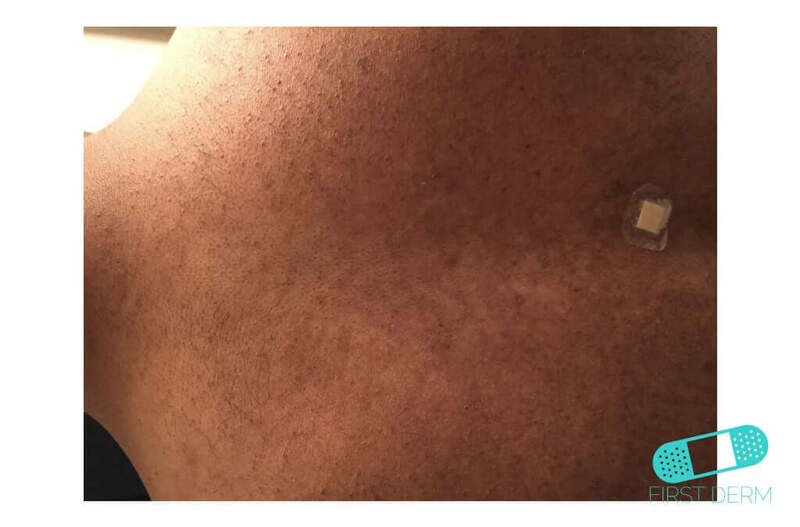 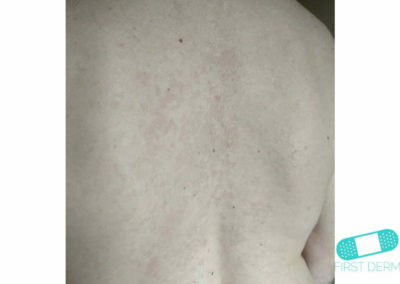 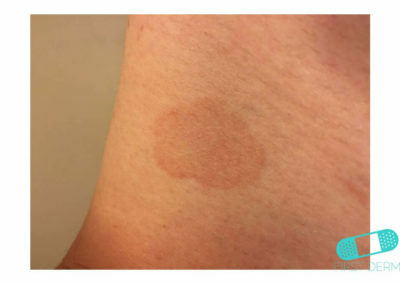 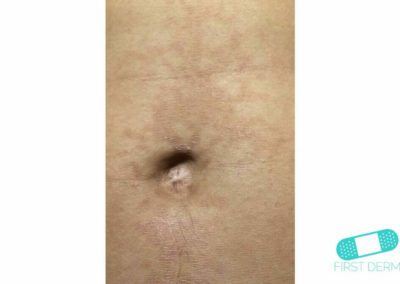 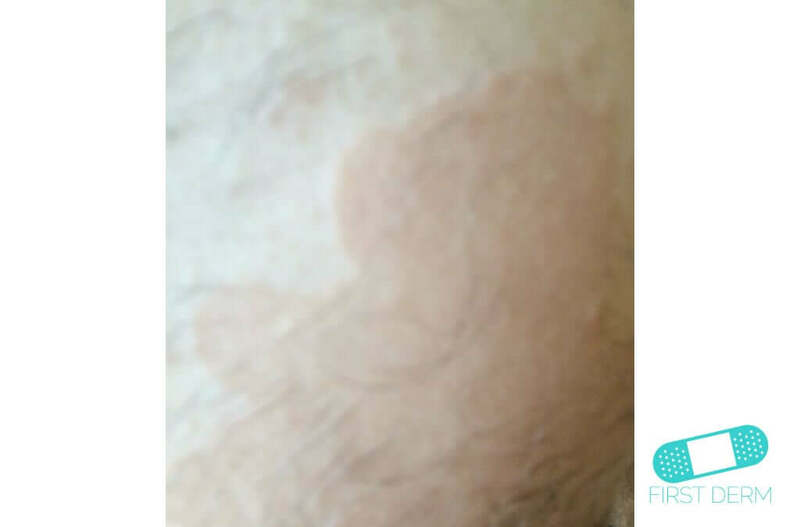 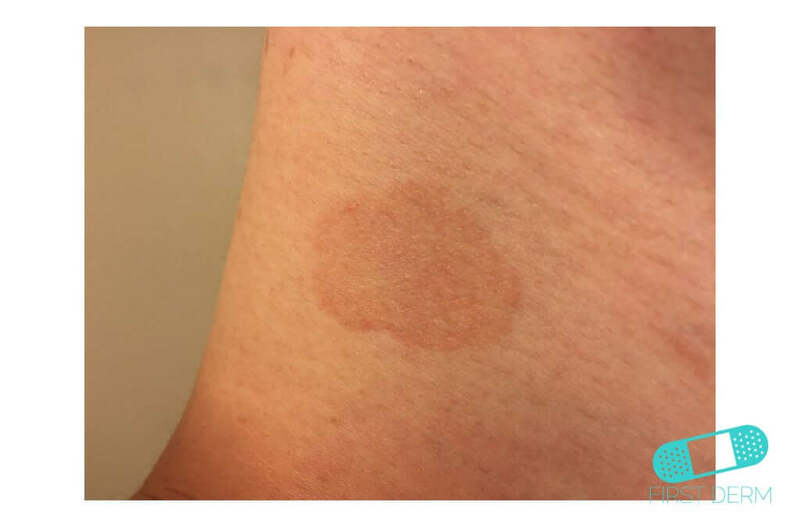 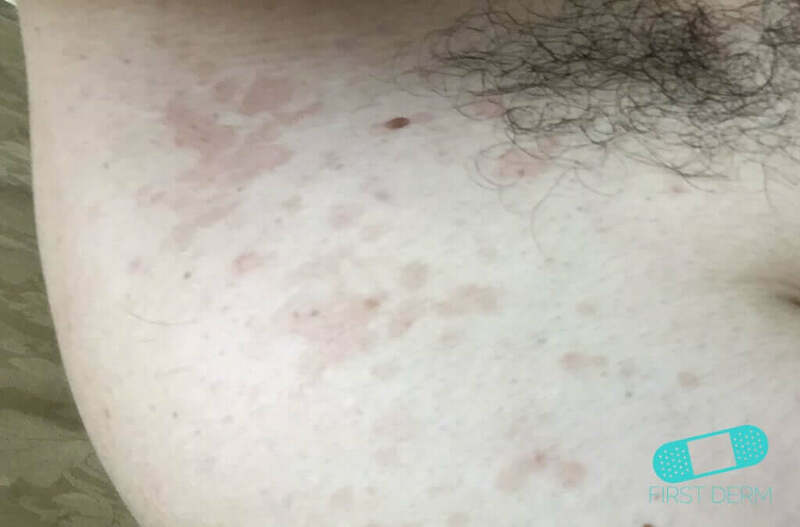 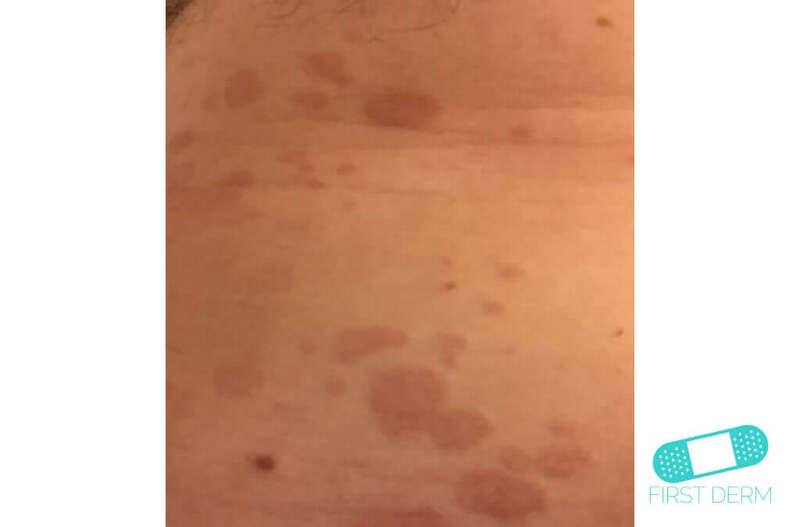 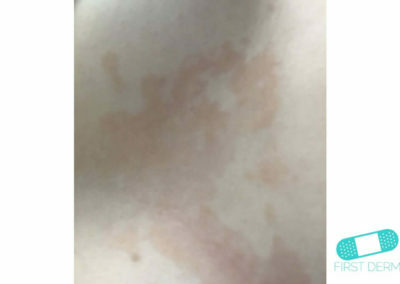 Pityriasis versicolor is especially common on the back of young adults, particularly after sun exposure as the patches do not tan, creating uneven tanned skin. 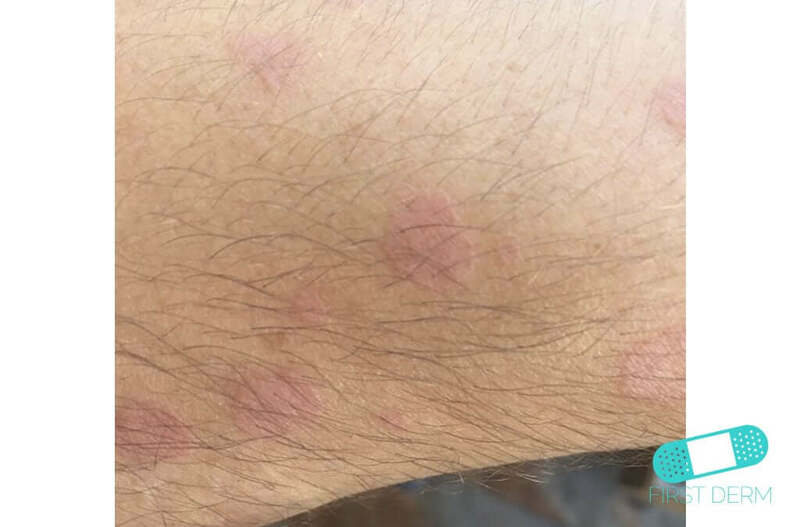 It is harmless and can be easily treated with topical products. 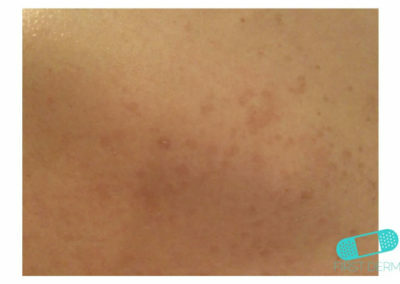 However, once treated it may take months for the skin to get re-pigmented (gain color). 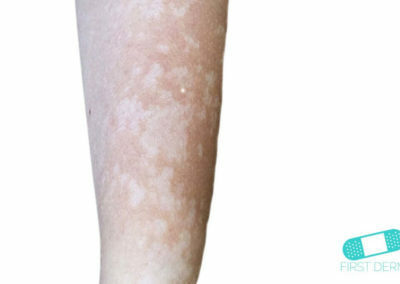 Pityriasis versicolor causes discrete hyperpigmented, orangey, scaly patches. 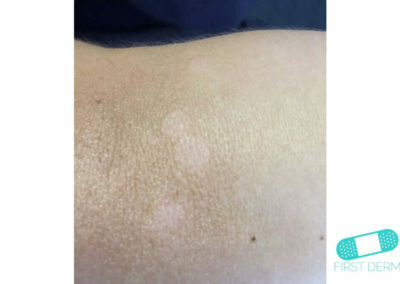 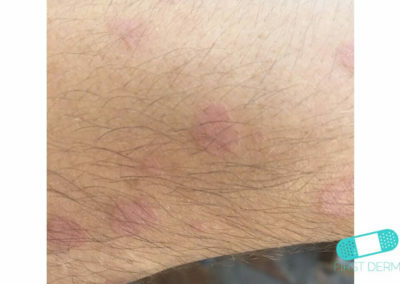 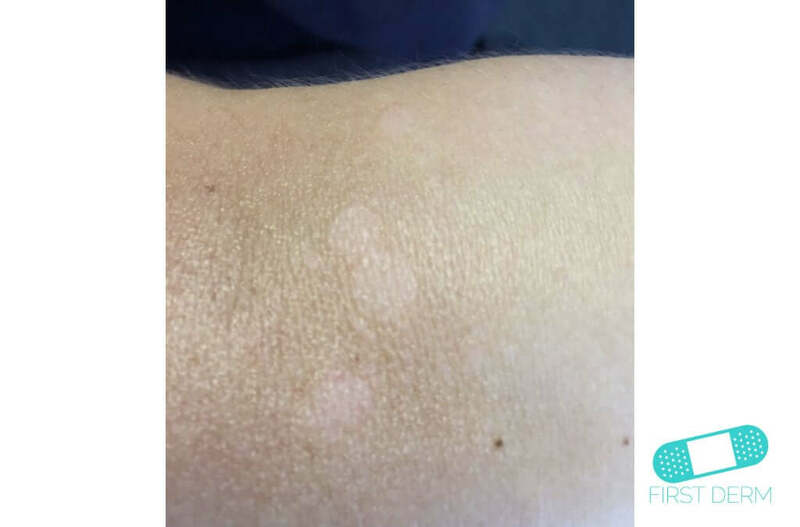 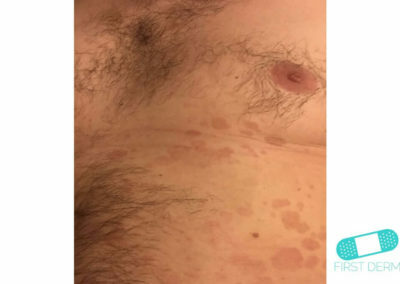 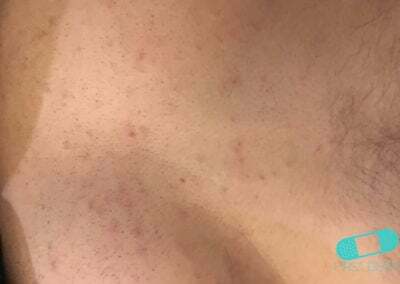 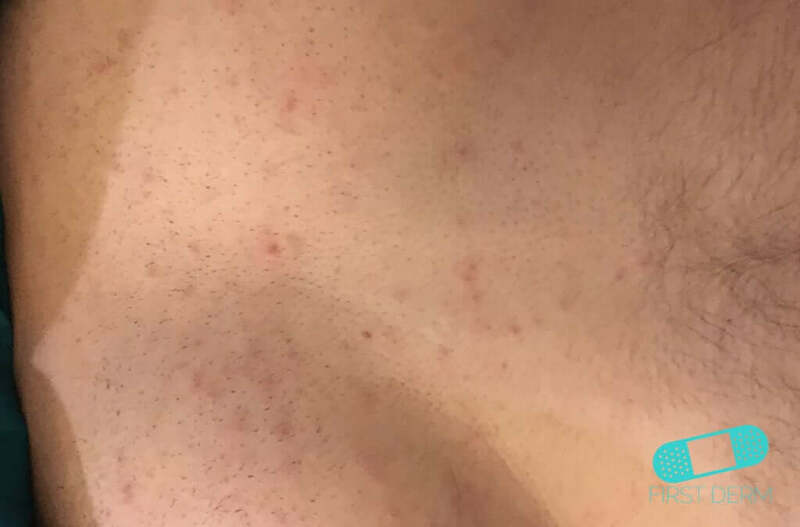 This is because Pityriasis versicolor often causes sharply defined spots that gather together to form large patches on the skin. 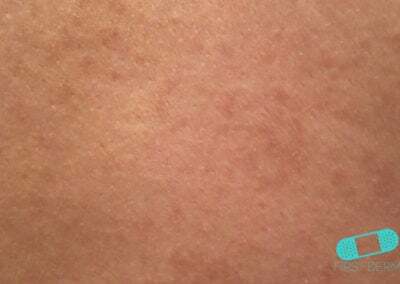 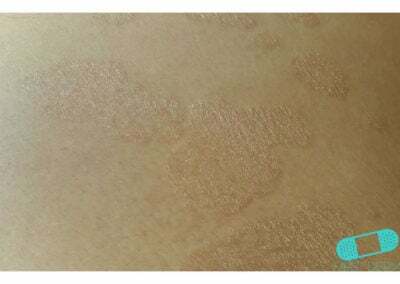 Sometimes, these spot can also be brownish and scaly. 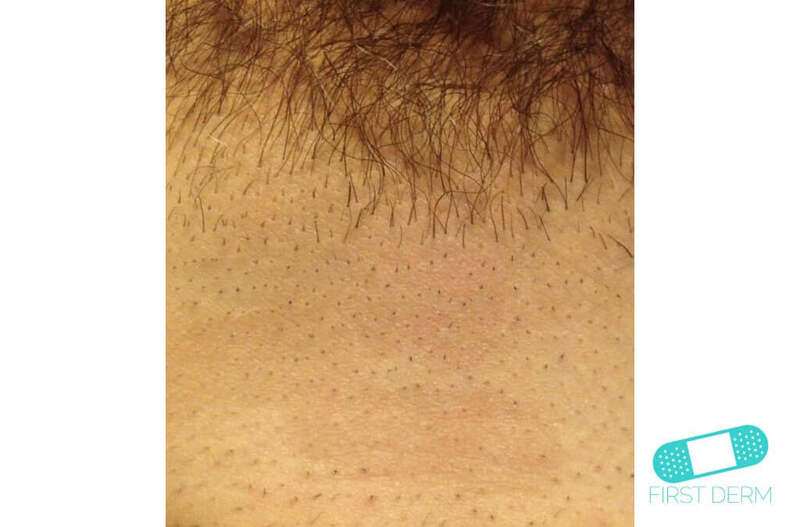 It is usually located on areas with a lot of sebaceous and sweat glands, such as the chest and back.  Even though the disease is not contagious, it often needs to be treated with prescription medication. 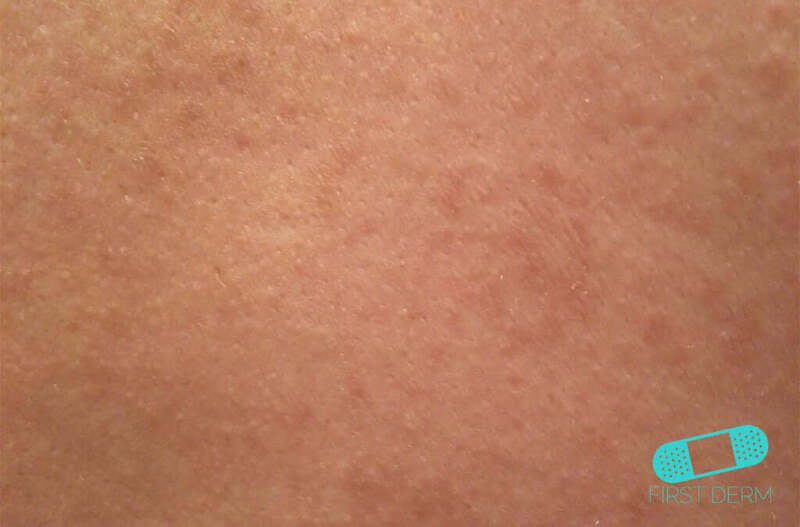 You should get advice on application of anti-yeast shampoos from your healthcare provider or at a pharmacy. 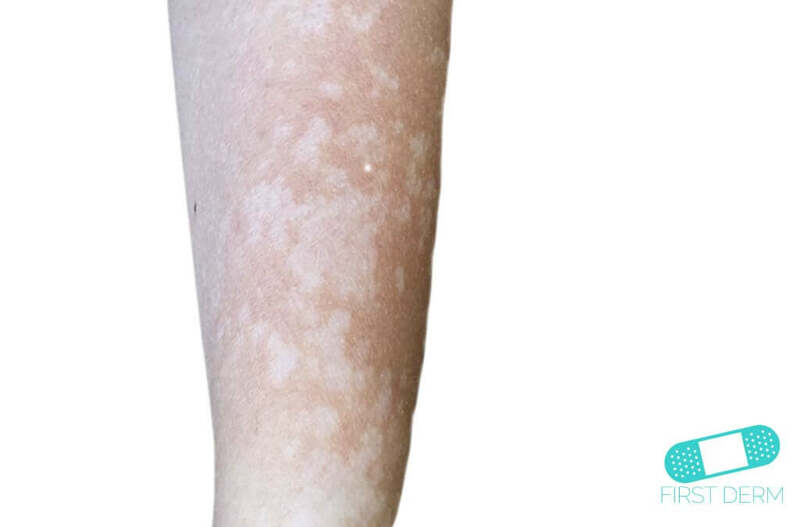 Topical anti-yeast shampoos, such as Oliatum scalp shampoo, Selsum shampoo, and Nizoral shampoo, tend to work well to treat pityriasis versicolor. 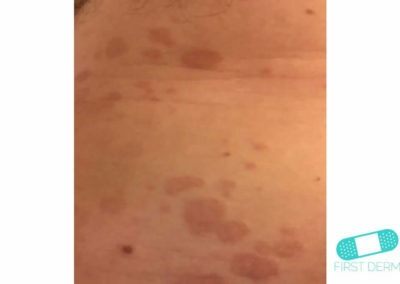 They can either be applied directly to the skin overnight (although this may cause irritation), or used daily in the shower. 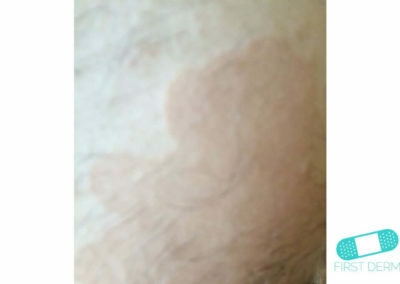 You should leave it on the skin for 5 minutes before rinsing. 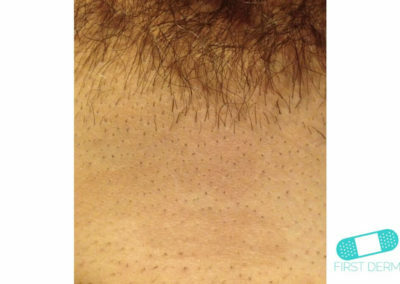 Continue treatments long term to reduce recurrence for 6-12 months. 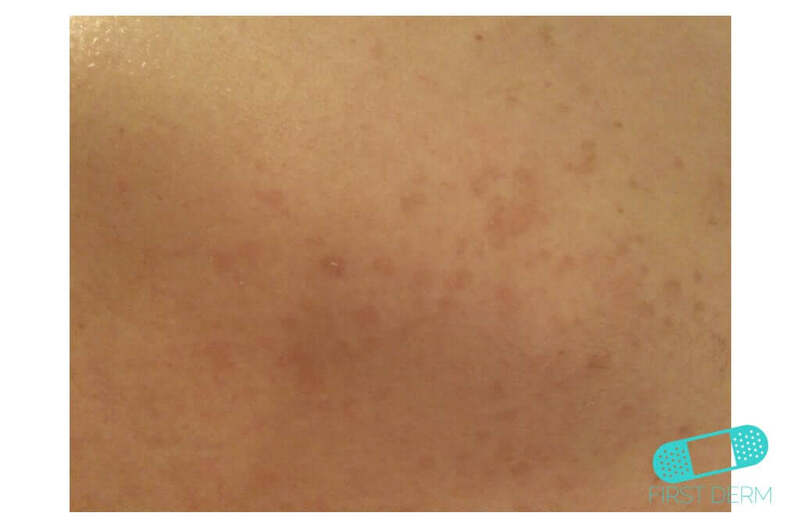 For smaller areas, ketoconazole 2% cream is a also good option. 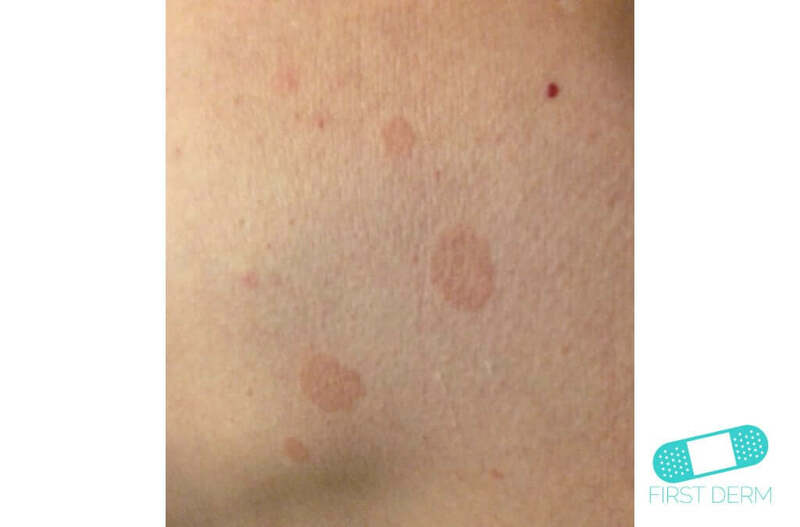 It is important to treat the entire upper body and arms even if lesions are not looking so prevalent out. 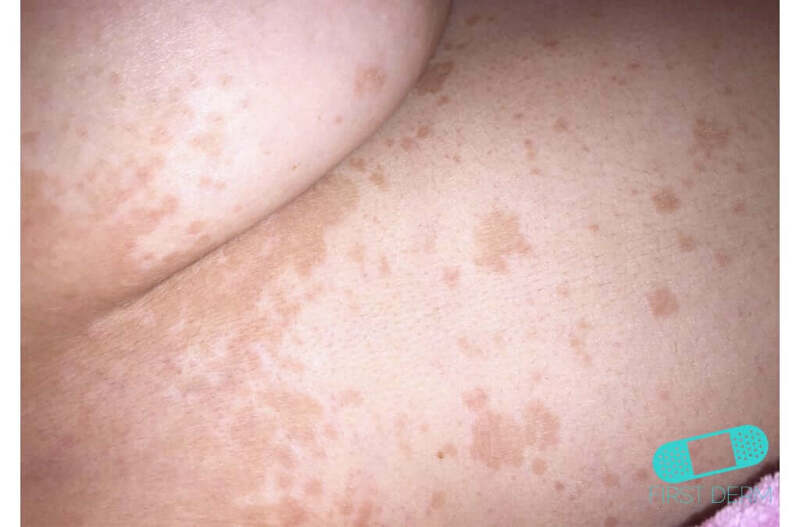 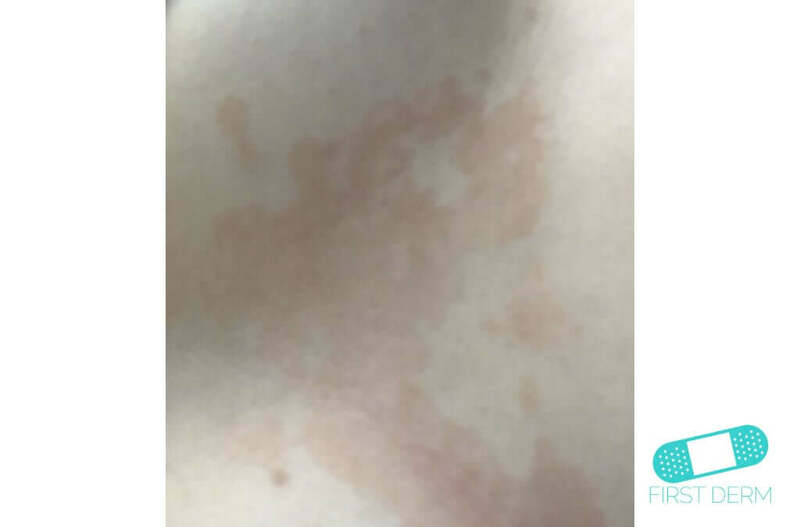 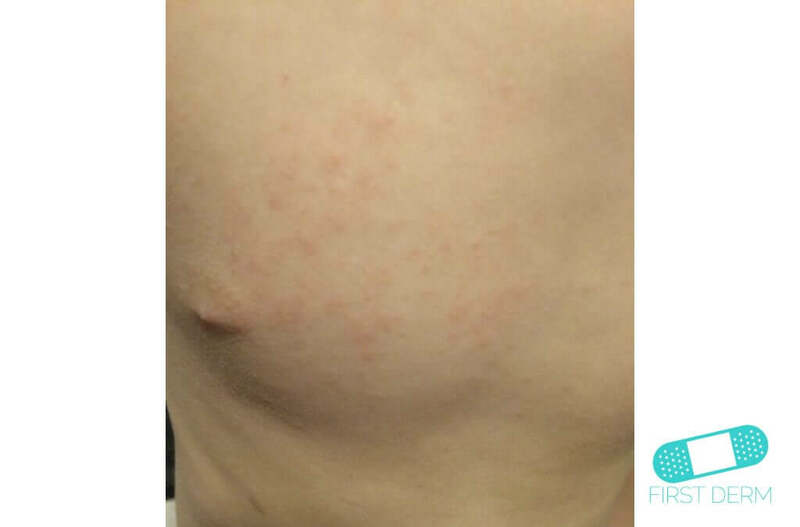 The risk of relapse of pityriasis versicolor is high.